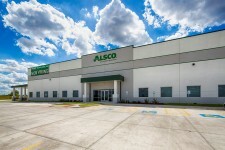 KYLE, Texas, January 18, 2019	(Newswire.com) - Alsco is pleased to announce the grand opening of its new Kyle, Texas, mixed laundry plant on Jan. 23, 2019, at 9:00 a.m. at 449 Vista Ridge Drive, Kyle, Texas 78640. City Mayor Travis Mitchell, City Manager Scott Sellers, and Alsco leaders will be speaking at the ribbon-cutting event. The Kyle plant will serve the greater Austin, Texas, area. The new facility, which contains 96,000 square feet and sits on approximately 9 acres, will be able to process up to 100,000 pounds per day of linens and uniforms with 100 percent accuracy. 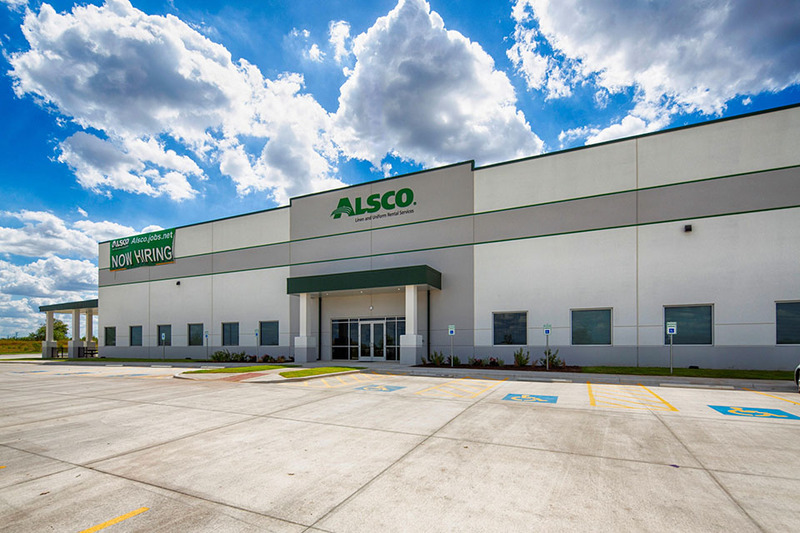 Although Alsco has served the greater Austin area for over 25 years, the new facility will allow Alsco to continue to grow its services in the area. It will also bring a positive impact to the City of Kyle, where Alsco will employ 160 full‐time employees to support its operations. The facility also employs cutting‐edge technology to reduce Alsco’s impact on the environment. This includes water and energy saving technologies such as the Norchem water filtration system, which will allow the plant to reuse approximately 70 percent of its water and meet the City of Kyle’s wastewater standards. After Alsco had chosen the site for its new plant in Kyle, TX, the City of Kyle asked Alsco to participate in the Texas Capital Fund. This fund created an additional opportunity for the city to receive grant money if Alsco met certain requirements. These requirements included spending a certain amount of money on capital improvements and hiring a specific number of full‐time employees. Because Alsco met these requirements, the city received nearly $1 million in grant funds. Alsco will also be contributing $200,000 to the City of Kyle to be used for improvements to infrastructure, such as the wastewater treatment plant. Alsco is a fifth‐generation family‐owned‐and‐operated business, founded in 1889, that was recognized by the prestigious Hohenstein Institute for having invented the linen and uniform rental industry. Celebrating 130 years of business, Alsco provides linen and workwear rental services to customers that include restaurants, healthcare, the automotive industry and industrial facilities. With over 180 locations and more than 20,000 employees, Alsco provides world‐class service to over 355,000 customers in 14 countries. Learn more at www.alsco.com.